We’d like to introduce you to just some of the team here at Lewis Pies. 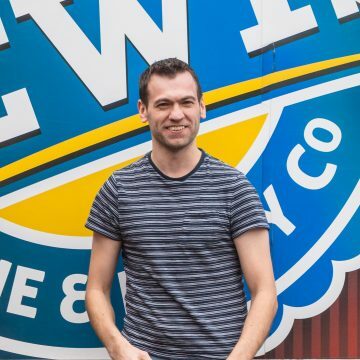 Having had a successful career in a start-up technology company, Wilf came into the family business in 2014. 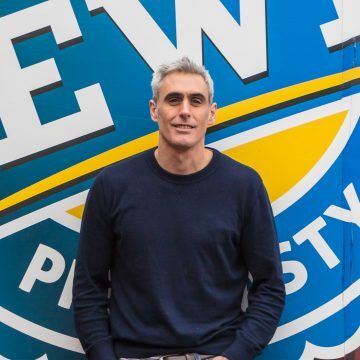 A high-energy individual, which he needs to be with three young children, Wilf has been, and continues to be, a key driver for change at Lewis Pies, bringing innovation, business transformation and continuous improvement. With a passion for surfing, Wilf enjoys anything fun and fitness related… and his favourite product is a Wilfreds Fiery Chick, award winning pie. 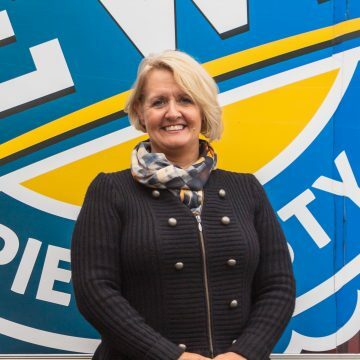 Since joining Lewis Pies in 2016, Sylvia says she has enjoyed the atmosphere of the team, with everyone focused and happy in their roles. She describes herself as forceful and determined, but compassionate and caring. Asking her about her favourite products is the start of a long conversation, as it’s a long list. Out of work you’ll find Sylvia with family and friends, eating out and walking or attending Marathons and Triathlons, but just to watch! 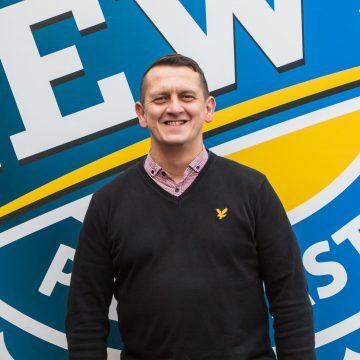 John joined Lewis Pies as a school leaver in the early 1990s working for five years in sales. He returned in October 2017, having worked a further 20 years in the industry, bringing with him a wealth of experience. John describes himself as a determined and focused individual. He says that outside of work he loves to be with his family and spending time keeping fit. His fun loving approach to life is reflected when he tells us “I love watching the 6 Nations, although my wife says I’ll watch tiddlywinks if it was on TV”. John has instantly taken to the Lewis’ ‘Wilfred’ range of products which he says are particularly delicious and hard to resist. 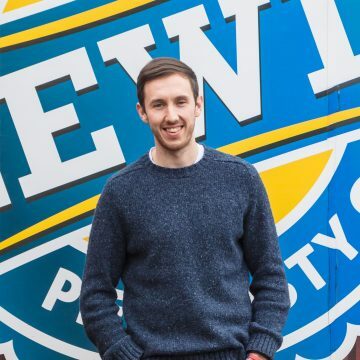 ‘Webbo’ has brought a new dimension to Lewis Pies, using his corporate experience to help transform the business. He says he enjoys working for a family company where ideas are quickly put into action, a change from the corporate world he was used to. A fan of theatre and opera, Dave loves spending time with his family and, when not with them, is a keen windsurfer and fisherman, leading to lots of conversations about wind, tides and weather. 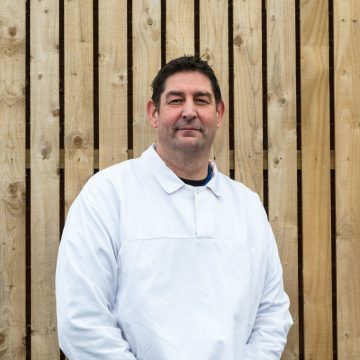 Neil is a dedicated and integral member of the team at Lewis Pies, keeping things moving behind the scenes and working across all areas of the business. He appreciates the opportunities and the faith the company has put in him since he joined in 2011 and is looking forward to the continuing transformation of the business. 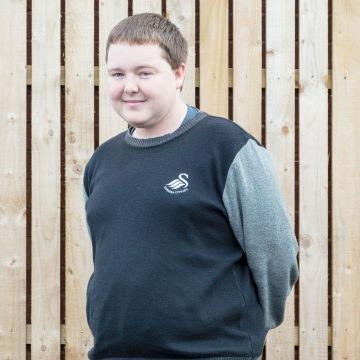 Neil watches the Swans week in and week out and enjoys exercising, whether its football or any other form of sport. When it’s time to hang up his boots, Neil relaxes by binge watching TV series, Game of Thrones anyone? 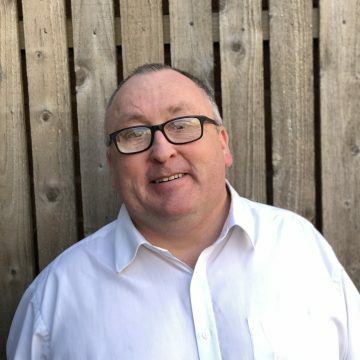 Neil joined the business in November 2018 taking over the despatch and goods in departments. Since joining the business Neil has brought control and organisation to an ever increasingly busy area of the company. He loves spending time with his family and is an avid fan of all forms of Rugby, especially Welsh international Rugby! 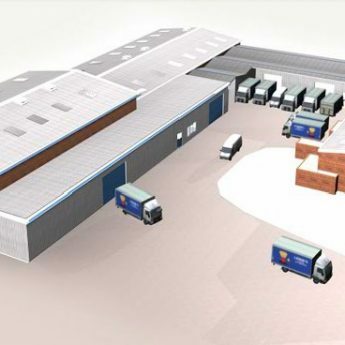 Neil is looking forward to moving forward with the companies ambitions. Our Production Manager since 2013, John enjoys working on the new and different products which the company regularly introduce. He loves big sporting events such as the Olympics, Euros and World Cup, and follows Swansea City FC avidly. If he’s lucky, John sometimes gets to use Wilf Snr’s season ticket when he’s not around to see the games. For John, the family atmosphere and the can do attitude of the team are the best things about working for Lewis Pies. One of the company’s longest standing employees, Ceri – The Joker – Wheeler brings a huge store of experience and knowledge to his role. He describes himself as fun loving, says the Six Nations rugby is his favourite event and likes spending time with family or watching football when not in work. He says to watch out for the Lewis Pies’ new Chilli Pie with cheese and nachos. In his words, “it’s a cracker”. Molly is a key member of the Finance team, dealing with customers’ accounts since she joined the company in 2014. Sport is a big no no for Molly who prefers to spend her time socialising with family and friends. Her laid-back approach is helpful when the pressure’s on. She loves our cupcakes – well any of our cakes really – and from the savoury side, our Colliers Cheese & Jalapeno Slices and Cheese & Leek Rissoles. Jason is an integral part of our purchasing and procurement department. 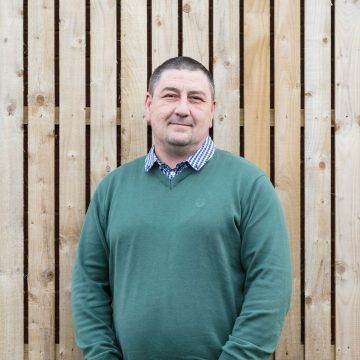 Jason joined the company back in September 2018 and has helped drive the company forward in bringing in new suppliers and ingredients during a busy upturn in new business including a new Vegan range! He enjoys spending his time chilling out drinking Real Ales and watching cooking shows. 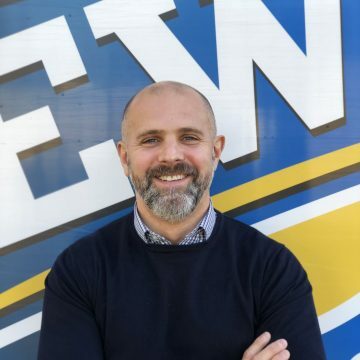 Jason is prepared to keep moving forward with the companies ambitions and focused attitude! 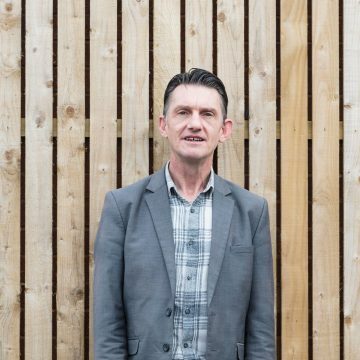 Based in Warrington, Shaun’s true roots can be found in his nickname – the Yorkshire Terrier – which also aptly describe his tenacity and drive. He puts a lot of miles under his belt, visiting customers across the UK, and is used to early morning starts. Shaun has a huge passion for all music and sports and enjoys relaxing with his family. 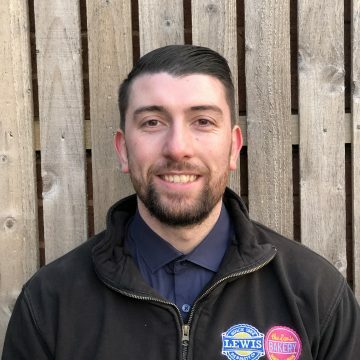 Having worked for Lewis Pies since 2015, Shaun thinks it’s a great family business and enjoys working with people who have a passion to succeed, no matter what the challenges. Dependable stalwart Peter joined Lewis Pies in 2014 and thinks that nothing can beat a Wilfreds Jalapeno Slice, unless it’s something else with Colliers Cheese in! 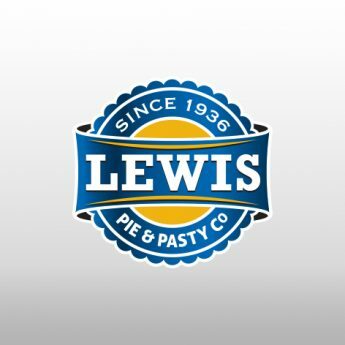 He enjoys the family ethos of Lewis Pies, being listened to and included in decisions by the Directors. A big fan of Six Nations rugby, in his free time, family man Peter also enjoys cooking, walking the dog and tinkering with cars. 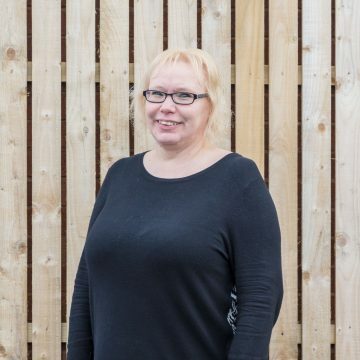 Julie is another longstanding staff member, having worked for Lewis Pies since 2001. Hardworking and loyal, Julie enjoys being a part of and engaging with the rest of the team members. 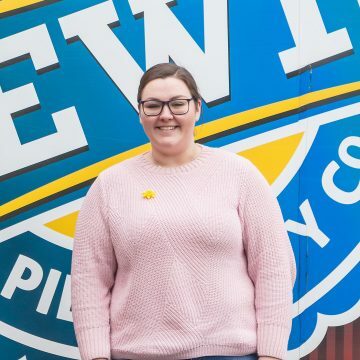 ‘Wooders’ loves our custard slices – both standard and large – and in her spare time likes eating, drinking, reading and going for long walks – preferably not in the rain. A huge football fan, Ash can always update you on how the Swans are doing and says that the Football World Cup is his favourite sporting occasion. He made regular, arranged, disappearances in the summer of 2016 to follow Wales’ adventures in the Euros. 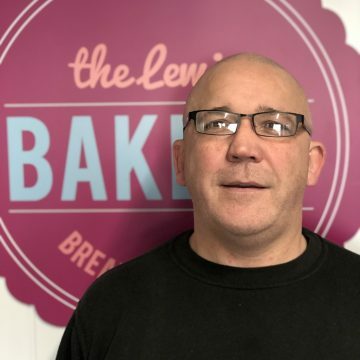 Ash sees himself as helpful and informative and his favourite products are those from the Lewis Bakery. Out of work, he likes to spend time with family and friends, football permitting. Kim finds motivating and inspiring the Lewis Bakery staff into believing that they can achieve hugely rewarding. Christmas is her favourite time of year and she enjoys the diversity of the seasonal products which the Bakery produces – Rudolf Ring Doughnuts anyone? Outside of work, Kim has a passion for cooking… and a blue belt in Kickboxing, so don’t mess with her. 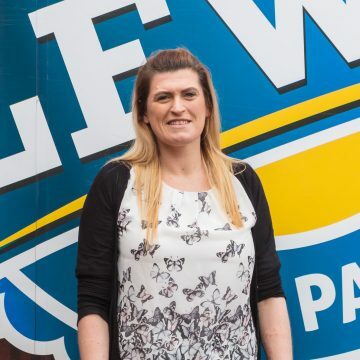 After 2 years with the Lewis Bakery, Jo says she loves the fact that every day brings a new challenge, developing new products with the great team in the Bakery, so it’s never boring. Creative and eager to learn, Jo loves cakes of every shape and form. Jo really enjoys the summer time and all the food festivals which take place… as well as family BBQs when the Welsh weather permits. 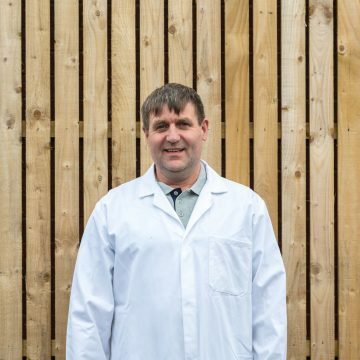 A very approachable leader, Stuart has been with Lewis Pies for 13 years and enjoys working with a good and reliable team in the Lewis Bakery. His favourite products are our custard slices, despite the fact he has to make so many every day. Outside of work, Stuart loves spending time with his family and keeping fit. He says his favourite sporting occasion is anything football related. 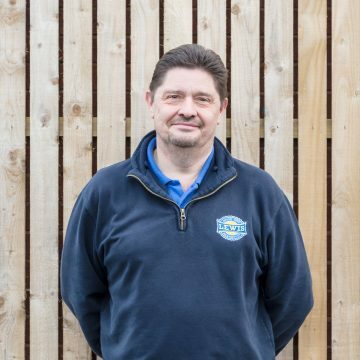 Working in a family run business, with very approachable people, is something with Anthony, whose known as ‘Togo’, really enjoys. He’s been one of the team working on our production since 1987 and is himself flexible and approachable. Outside of work, Togo likes to spend time with his family and watching the Swans. He can also be found on the greens and fairways – and occasionally in the bunkers or in the rough – at his local golf course. His favourite product? Steak and Kidney pie… served cold! 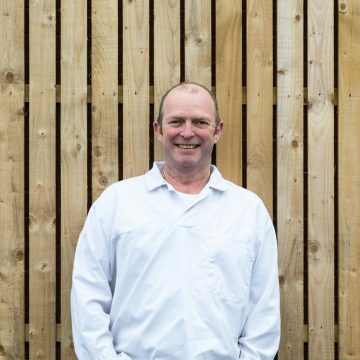 Known as Cheeco, Mark is a longstanding, hard-working and highly experienced member of the Lewis Pies production team, having been with the company since 1987. He loves our Pepper Steak Slices and really enjoys working for a family run company, with all that this entails. 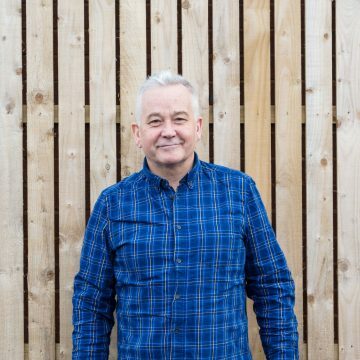 When not at work, Mark enjoys generally chilling out, cooking and drinking red wine… Cheers! 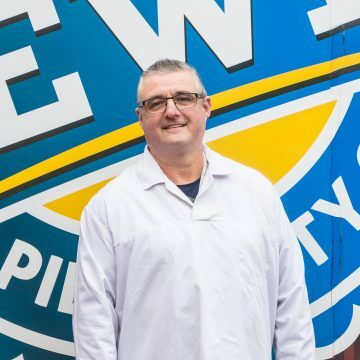 A baker who trained at the local college in Neath, Andrew has been making pastry for Lewis Pies since 1988, which is a lot of pastry! Hot crust, rough puff, short crust, sweet pastry, he’s made them all over the years. Andrew loves the fact that his role enables him to ensure we use top quality pastry in all our products. His favourite to eat… one of our Steak Slices. Andrew is a keen golfer who also lists watching football among his hobbies.